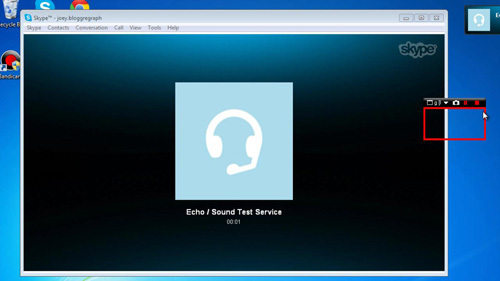 In this tutorial you are going to learn how to record skype audio with bandicam which can be a convenient way to store a record of your calls. 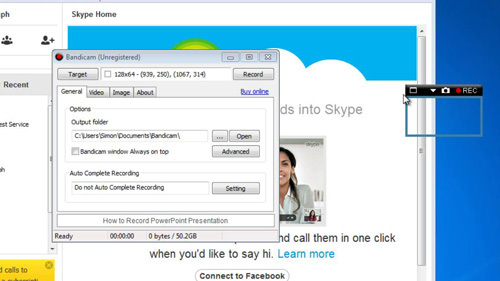 This tutorial assumes that you have both Skype and Bandicam downloaded and installed on your machine. Open Skype and sign in and then open Bandicam. 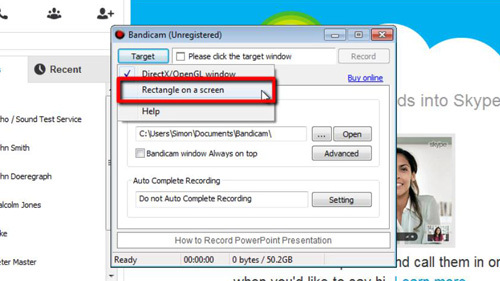 In the Bandicam interface click the “Target” button and in the menu that appears click “Rectangle on a screen”. A frame will appear indicating the area of the screen that will be recorded. This is unimportant as we are just after audio, but you should make it as small as possible. Click on either bottom corner of the frame and shrink it to its smallest size. Now got to Skype and start the call that you want to record, here we are just placing a call to the Skype call testing service. As soon as you have done this click the “REC” button at the top right of the Bandicam recording frame. Complete the call and when you have finished click the stop icon on the recording frame. You will have successfully recorded the audio and video from the call. You now need to extract the audio from this video. Start your preferred internet browser and visit “www.zamzar.com”. Scroll down this page and click “Browse” and in the window that appears locate the video file we just recorded. By default this file will be in “Documents” then “Bandicam”. 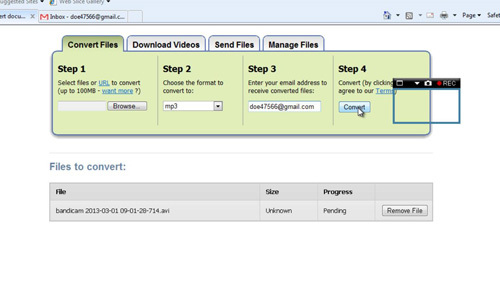 In “Step 2” select “mp3” from the drop down menu and then enter your email address in the box to the right. Click “Convert” to start the process. A progress bar will appear below and when the upload is complete you will be redirected to a page that states “File upload complete”. Now, go to your email and open the message from “ZamZar Conversions”. Click on the long link below the blue frame and on the new page click the green “Download Now” button. In the window that appears click “Save”. 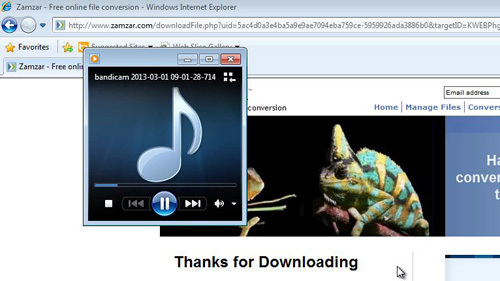 When the file has downloaded choose to open it and you will hear the audio from your Skype call and that is how to record skype audio with bandicam.